The Durham Academy speech and debate program hosted the Tarheel East District Tournament from March 23 to 24. 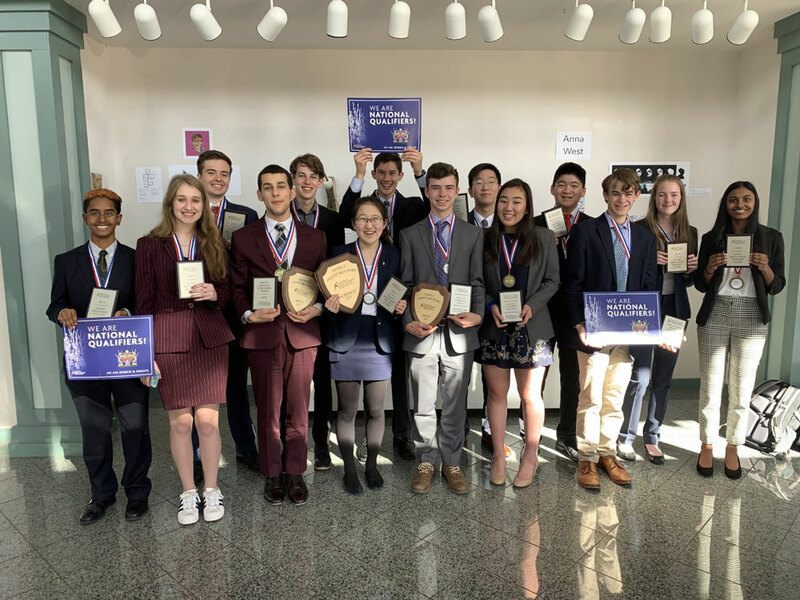 It was DA’s second time playing host to the tournament, in which members of 22 of the state’s most talented teams vie for berths in the National Speech and Debate Association’s (NSDA) national tournament. Sixteen DA students have qualified for nationals. As a team, the DA competitors were named District Overall Champions, District Debate Champions and District Speech Champions. DA also won all three team awards in 2018. Head of School Michael Ulku-Steiner was recognized as District Administrator of the Year in recognition of his support of growth within both DA’s speech and debate program and within the Tarheel East District. Kellen Kane, DA’s assistant coach for speech events, was named District New Coach of the Year for excellence in his first year of coaching.